Imprint Live Music bands have performed all over the world, continuously impressing audiences with their dynamic styles and crowd-pleasing performances. Our exclusive offering of bands cover every style and genre, from current top 40 and country to Motown and 80s rock… and everything in between! Below is a listing. 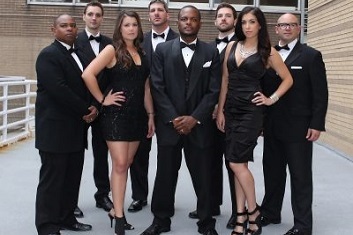 Want to Request Entertainment for Your Next Event? Submit Your RFP Now. One of America's BEST cover band! Soul X combines decades of experience in one ensemble, making them the perfect choice for even the most demanding event. Loved for their hip and current Top 40 repertoire, Soul X also delivers on R&B, Motown, Big Band, Disco, 80s, 90s, Rock, Latin, Country and beyond. This band’s youthful appeal offers a burst of energy and contagious enthusiasm for any event! Listen and dance to up-tempo favorites by The Black Eyed Peas and Lady Gaga, 80s jukebox favorites, or music from the 50s, 60s, and 70s. Syndicate creates the hottest contemporary mix of music! Combining some of the most well-known and talented event musicians in the United States, the Groove Merchants party band plays your favorite dance tunes from all the decades including your favorite hits on the radio today. 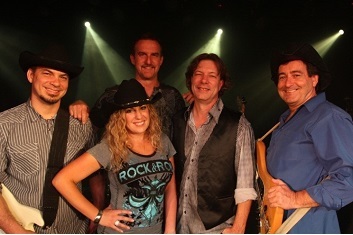 This dance band's experience, talent and energy make them the best cover band in the country. This five-piece band migrated to Colorado from Music City, and they have the sound to prove it. Offering an incredible range of country stylings, American Honey effortlessly performs Country Rock, New Country, Traditional Country Western, Variety and everything in between. 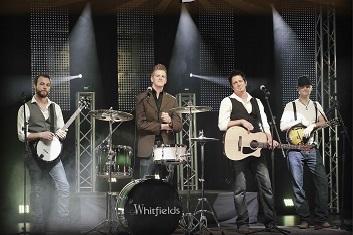 The Whitfields is a new version of Bluegrass - NEWGRASS. With the popularity of bands like the Lumineers and Mumford & Sons comes the popularity of requests for this band. They also have the ability to transition into Top 40 music with the addition of female vocals to kick up the party! 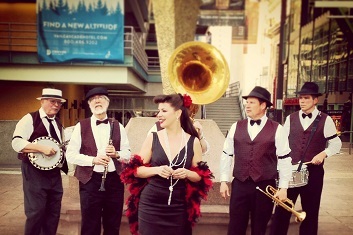 Second Hand Band is a New Orleans-style act that offers a mobile or onstage performance to suit any venue and get crowds moving. Taking audience interaction to the next level, they bring a street-parade feel and zany one-liners for a fun-loving time!